Female West Point cadets will be required to participate in boxing classes for the first time in the academy’s history starting this fall. West Point officials have gone from prohibiting women from participating in the legendary rite of passage to requiring all 1,000 students in the class of 2020 complete their boxing curriculum. West Point officials have stated that the historic change is a response to the Pentagon integrating women into combat roles. 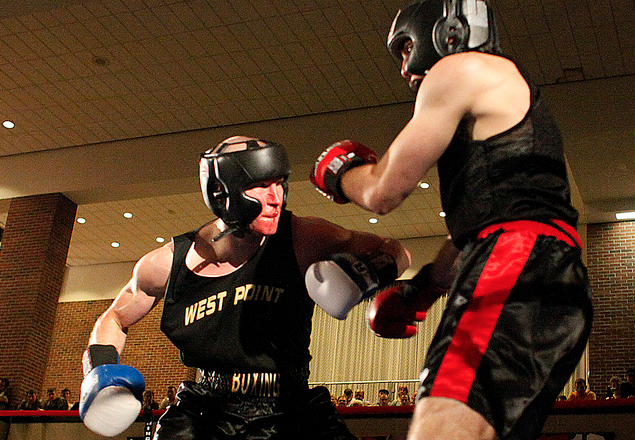 The boxing classes at West Point have become a rite of passage for male cadets. Respect is earned through bloodied noses, bruised knuckles, and even concussions. The female cadets will be graded on two-minute bouts where they face off against other women. They will also be allowed to spar with male cadets during controlled exercises. Holland, like many other people, are concerned with the frequency and severity of concussions sustained during these classes. Over the past three years 97 students have experienced concussions from boxing at the academy. No other sport offered at the school comes close to causing that many concussions. This has led many students, alumni, and citizens to question whether or not these classes are necessary. Boxing has long been revered by the military academies. 18 of the last 20 collegiate championships held in the past two decades have been won by one of the military academies in the United States. It has been a required course at West Point since 1905 when President Theodore Roosevelt demanded it become a mandatory part of the curriculum. Rather than give up this rich history the academy is taking other steps to prevent concussions and brain trauma. Thicker gloves and helmets have been implemented while boxing instructors and physical education teachers are being trained to identify and treat concussions before more serious damage can be done.